but I wanted to show you more…I wanted some colorful flowers that would make all of you smile! 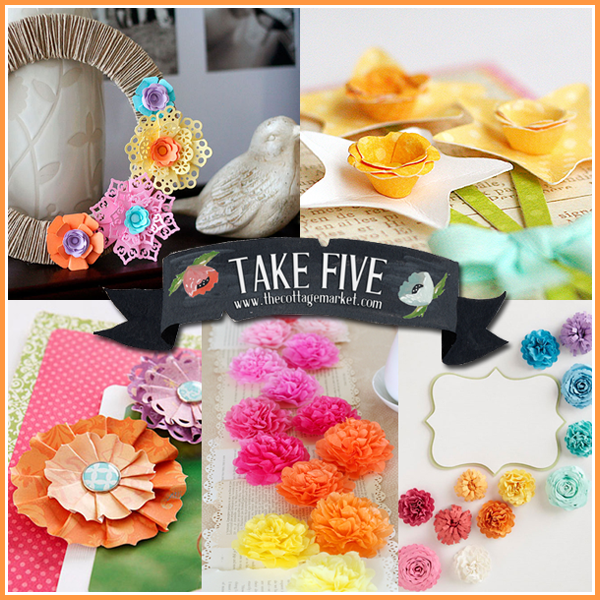 Flowers that you can make and create with! Flowers that are simply sensational eye candy! 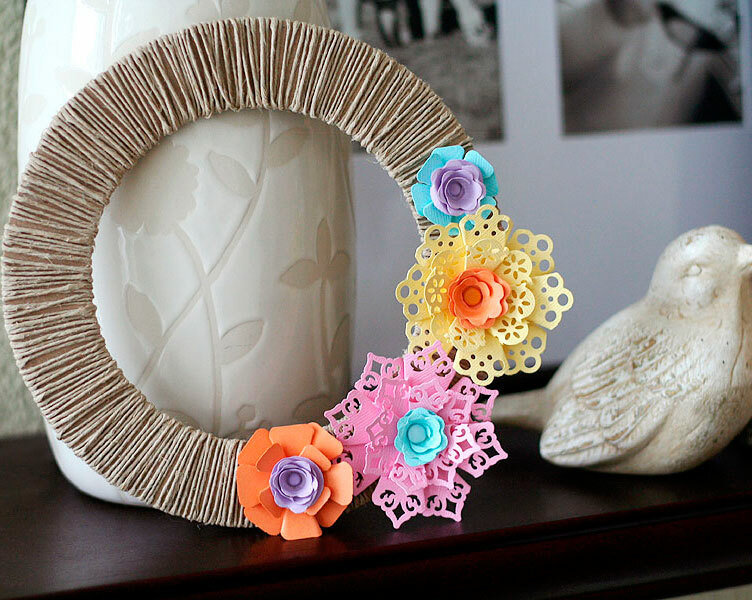 oh she has some of the most amazing crafts and WOW did she have gorgeous flowers that I know you are going to love and want to make…I mean make them all…grab the kids…grab your Mom and friends and have fun!!!! If you needed a POP of color today…you have come to the right place! 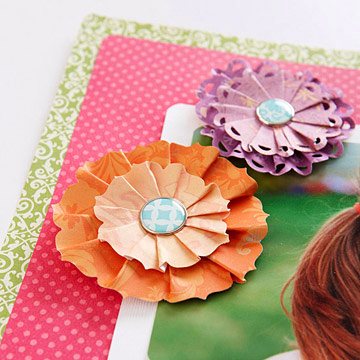 Just hop on over to Lisa Storms for the DIY’s! wall art…embellishments for anything…wedding shower favors…baby shower favors…anniversaries…birthdays, cupcake toppers…cake toppers…add a stem and make bouquets…decorate baskets…(coming up for air now) you get the picture…the creativity that these offer you is endless!!! Get the DIY right here! Oh these make me feel like a little kid again! 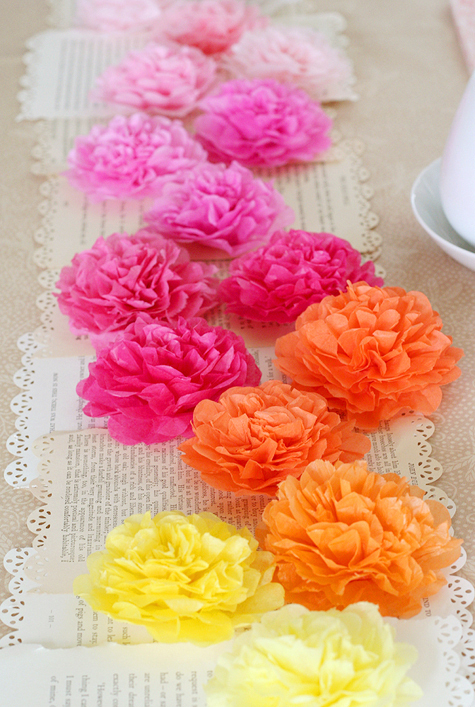 Only these are much better than the millions of paper flowers I made out of any piece of paper I could get my hands on! Look at this table runner…just think on how you could tailor it to any occasion you can think of and then again…they are great for so much more…let your imagination go wild! 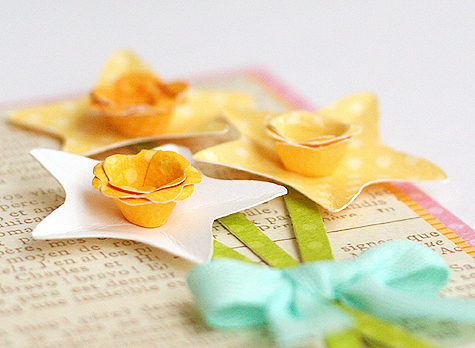 So…what do you think…are these fun or what…are you ready to start a paper florist??? : ) Take a visit over to Lisa Storm and get the DIY on all of these pretties and SO MUCH MORE…you are going to love her blog…I promise! Don’t forget to stop by tomorrow…I have an awesome printable that you are going to want to save for a very long time…I promise…you are going to love it!!! I’m so in love, love with paper flowers too!!!! 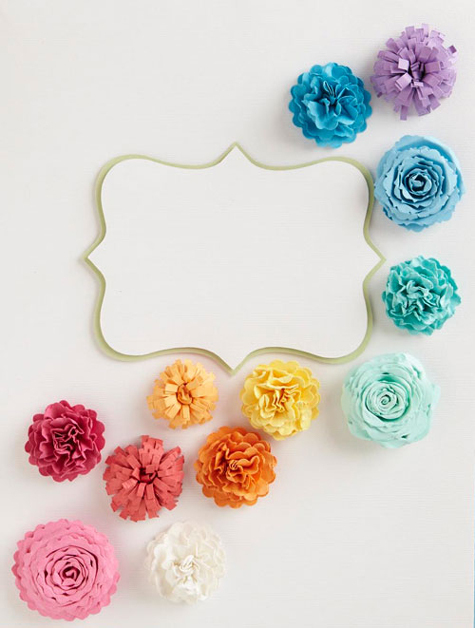 I’ve been on a search for some tissue paper that’s white and/or off white with some pretty script to make into flowers … I think it would be so pretty!!! You always find the coolest stuff! I love creating with paper too, I have yet to make a scrapbook but hoard the paper like there is no tomorrow 🙂 Happy weekend!